My home is covered in photographs and paintings of Hawaii and of all of the places that I’ve traveled. I love bringing home a piece of art to remember my vacations by. In Hawaii, local artists create beautiful paintings, photographs, jewelry, home furnishings, and more. Inspired by the sunsets, ocean, mountains, and beauty of Hawaii, you won’t find art like this anywhere else in the world. In fact, many local artists only sell their work here in Hawaii. So, if you are going to be on Oahu this weekend, you are in for a treat, because you will get the chance to see these wonderful artists and their work in person, all in one place! 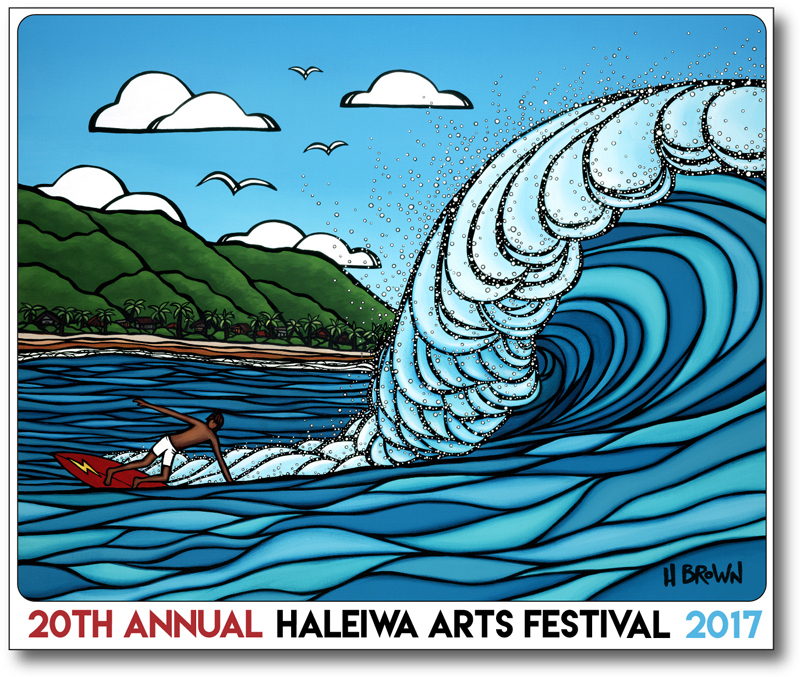 The 20th Annual Haleiwa Arts Festival will take place at Haleiwa Beach Park, on the North Shore of Oahu this weekend, on Saturday, July 15 from 10:00 a.. to 6:00 p.m. and Sunday, July 16 from 10:00 a.m. to 5:00 p.m. Featuring over 140 visual artists, live performing artists every hour, and delicious food, this free community event will showcase the best of our North Shore and Oahu artists. This is a summer event that you won’t want to miss. It will be a great opportunity to meet local artists, eat local food, and maybe even to take home a piece of art with you. 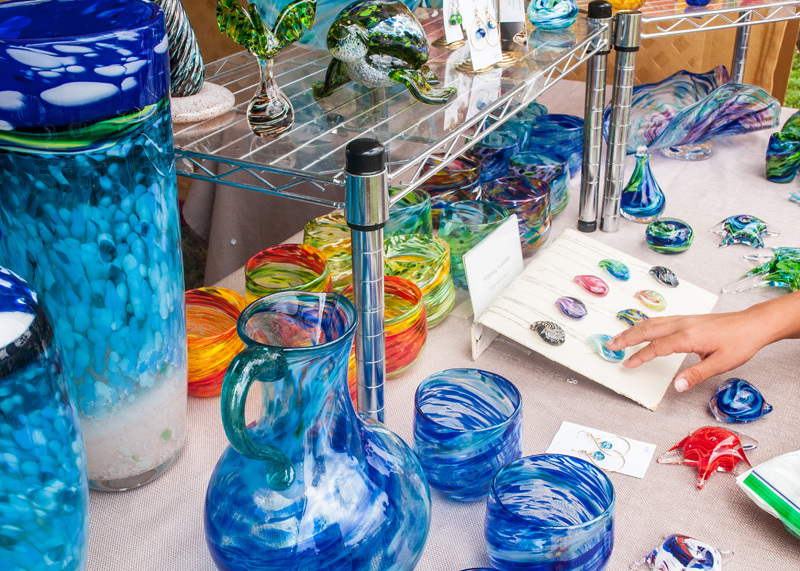 Many different kinds of art are available to purchase at the Hale’iwa Arts Festival. 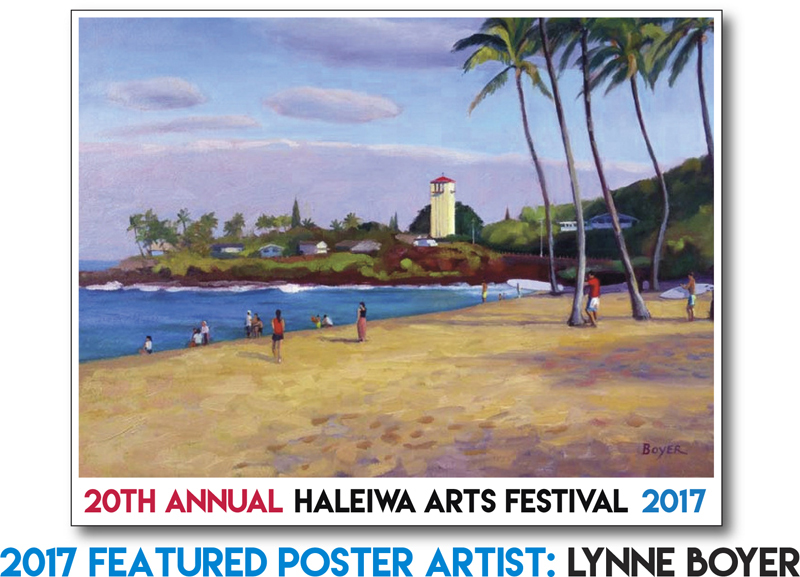 There will be over 100 visual artists at the Haleiwa Arts Festival. Click here for a map that will detail where each artist will be. Walk around the booths, talk to the artists, and maybe even pick up something to take home. 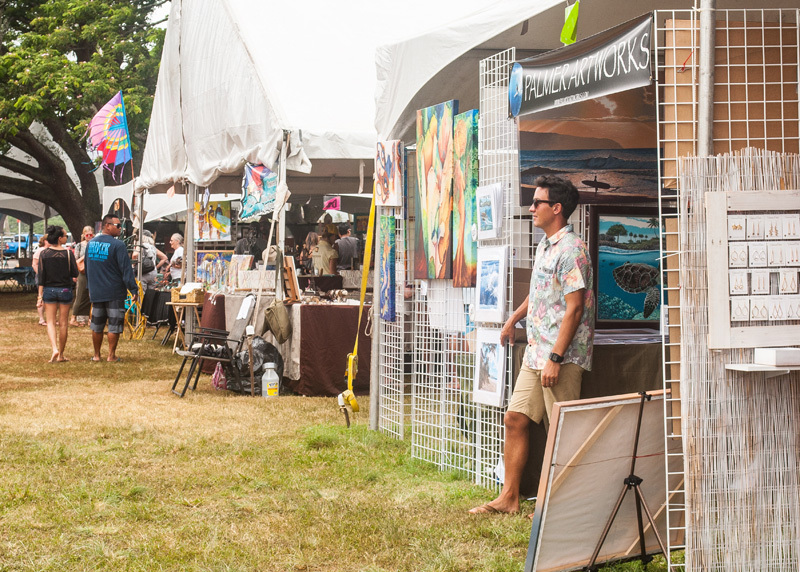 Some of the visual artist booths at the 2016 Hale’iwa Arts Festival. This year’s featured T-Shirt artist is Heather Brown, the featured Tote artist is Miriam Engel, and the featured poster artist is Lynne Boyer. Find their exclusive, limited-edition works of art in the Festival Shop! Or, if you can’t make it this weekend, click here to visit the online shop. There will also be a meet and greet with CD sales available at the tent to the right of the stage. Don’t miss out on this once-a-year opportunity to experience the beautiful art that Hawaii has to offer. 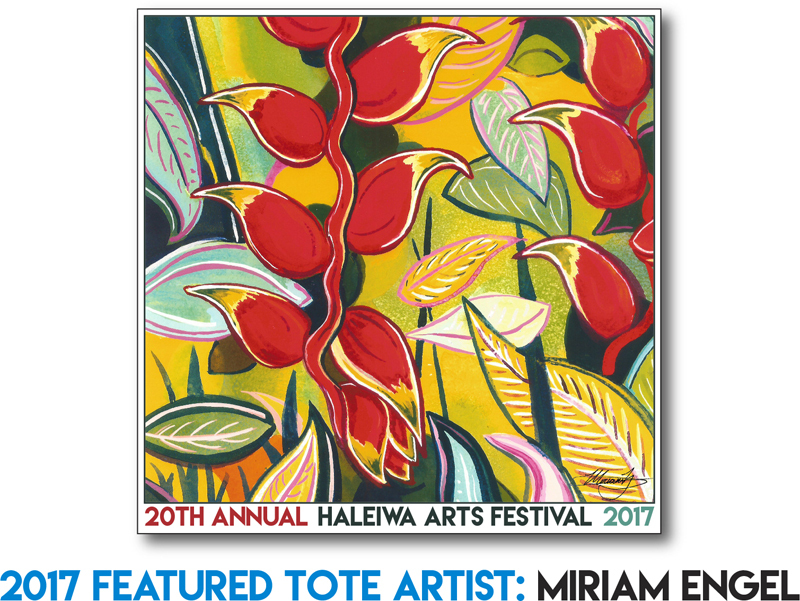 If you can’t make the Hale’iwa Arts Festival and are interested in learning more about local art during your trip to Hawaii, give our travel agents a call today. When you book our All Inclusive Oahu Vacation Package, we can customize the package to meet your interests. Many local artists sell their work in galleries along the North Shore of Oahu. During your all-inclusive vacation, we can be sure to take you to the best art galleries on the island. Give us a call today to get started!